PosterMyWall is a web-based promotional poster, graphic, and video design software. Its features include video and image templates, free stock photos, Getty stock collection, custom fonts, and more. In this article, we cover user reviews and pricing. Ready to get started with PosterMyWall? Sign up for free. Users who gave PosterMyWall a positive review said that the software is easy to learn and use. Some of them also commended the quality of the design templates. A user who left a positive review of PosterMyWall on Facebook said that its design tools are much more user-friendly than what’s offered by other online services. She added that the available templates and the selection of stock photos are excellent. As of the date this article was written (01/18/19), there are not a lot of negative PosterMyWall user reviews online. However, there are mixed reviews about the software’s pricing as some users find it to be quite expensive. PosterMyWall offers a free account and two paid subscriptions: Premium ($29.95/quarter) and Premium Plus ($89.95/quarter). The main differences between the free and paid plans include the number of free monthly credits, the ability to add custom fonts, and priority support. *Credits enable Premium subscribers to download high-resolution images or videos. One credit is required to download images and three are required for videos. Premium Plus plan holders get unlimited downloads (except for Getty Stock), while free account users have to pay $2.99 for a high-resolution image download and $14.95 for an HD Quality Video download. Premium subscribers who run out of credits can purchase credit packs that range from $15.95 (five credits) to $245.95 (hundred credits). Ready to get started with PosterMyWall? Sign up for free. Best Logo Design Software — A well-designed logo is a vital part of a company’s brand. In this guide, we looked at the most popular options and found the ones that covered the range for small businesses in terms of ease of use and the quality of logos offered. What happens to unused PosterMyWall credits? Unused PosterMyWall credits are carried over to the next month and will not expire as long as the user is subscribed. What are PosterMyWall’s sharing options? PosterMyWall users can share their designs via email, Facebook post and photo album, or share a link on Twitter and Pinterest, or embed the design on their blog. Shared folders are also an option for those who want other people to collaborate with them on the design. 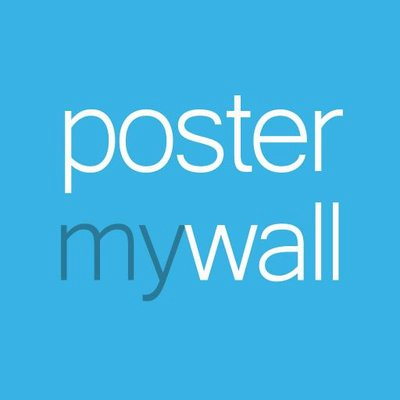 Not sure if PosterMyWall is the right fit for you? Read our reviews of all top design software.